PCGS & PMG POP1/Unique. 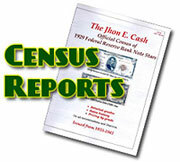 This is another of the serial number one star notes from the famous Jhon E Cash Serial Number Stars Collection". This is a 1985 $10 FRN star from the St Louis District. 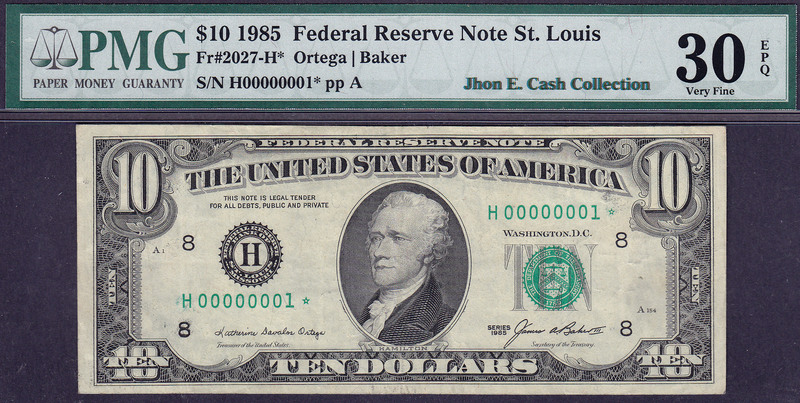 The serial number is H00000001* and it has been slabbed as a PMG VF-30EPQ. 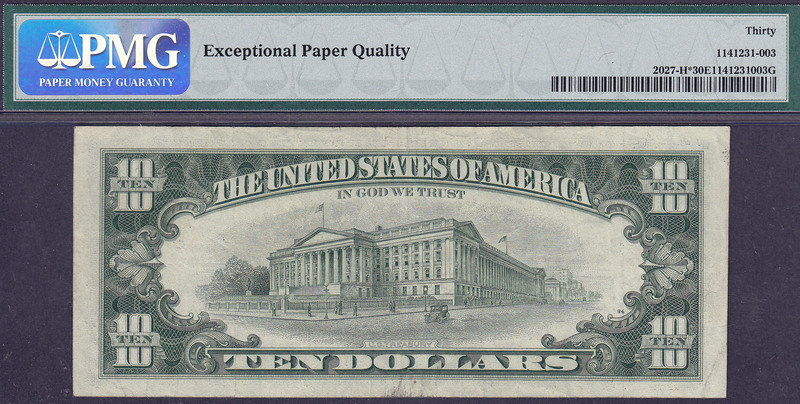 There are so few serial number one star notes that you may never see another one like this one.